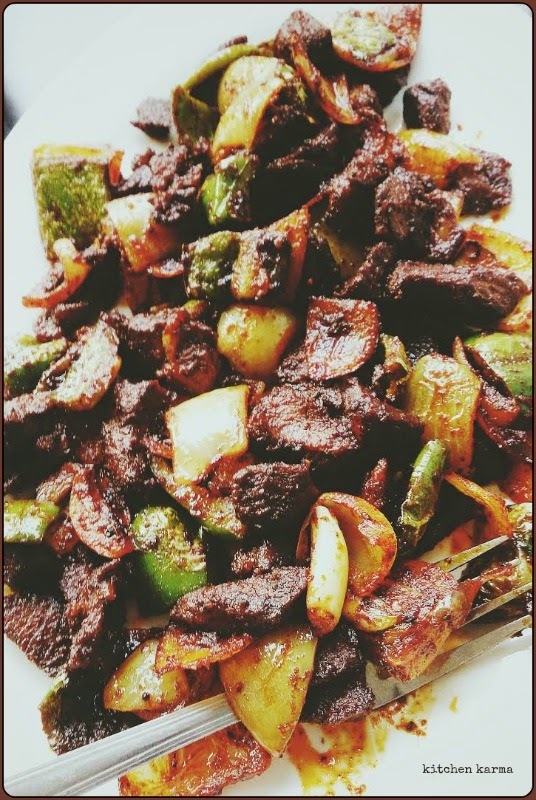 Have you ever tried this super spicy dry lamb dish? It is a lamb stir-fry of sorts with lots of onions, green pepper and curry leaves and is doused in spiced and pretty hot. If not please head to your nearest Sri Lankan joint or even a South Indian joint serving non vegetarian dishes should have this on their menu. Go over and order this as a starter or maybe even as a side to a rice dish. Either ways you won't be disappointed. A good place to have this in London is Jaffna House in Tooting or any of the places in East Ham.